Notes: Born at Baltimore, 1848; son of Dr. P.S. Kinnemon. 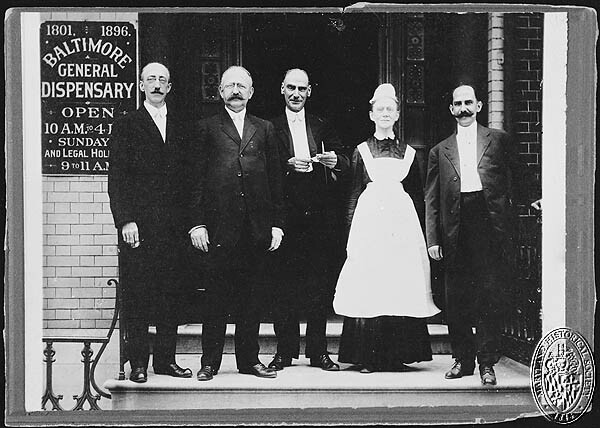 Educated at the Central Institute; M.D., University of Maryland, 1874; Attending Physician, Eastern Dispensary, 1879-82. Died at Baltimore, December 12, 1884. Notes: Obituary.–Dr. George S. Kinnemon, son of the late Dr. P. S. Kinnemon, a well-known physician, died yesterday morning at his residence, southeast corner of Gough and Pratt streets. Dr. Kinnemon graduated at the Maryland University with the class of 1874, and has been a practitioner for the past ten years. Death resulted from bronchial affection. He leaves a wife. Dr. Kinnemon was member of the East Baltimore Medical and Chirurgical Society. Source: Obituary, The Sun (Baltimore) 13 December 1884. Notes: Burial, Green Mount Cemetery, Baltimore, Md. Source: Find A Grave, database and images (https://www.findagrave.com : accessed 02 January 2019), memorial page for Dr George S. Kinnemon (1848–12 Dec 1884), Find A Grave Memorial no. 112151288, citing Green Mount Cemetery, Baltimore, Baltimore City, Maryland, USA; Maintained by Jean Johnson (contributor 47458642).